Optimal density of forest motor roads is an essential precondition for the increase in the forest value. It is provided through the construction of new forest motor roads and maintenance of the existing ones. Proximity of roads allows to reduce the costs of forest management and forest exploitation. The biggest effect is provided by the reduction in the distance of timber transportation from the felling area to the road as well as the improvement of availability of felling areas. At present time, LVM has in its possession more than 11,000 km of forest motor roads, which together with 5,000 km of natural driveways and 2,830 km of roads belonging to other owners make up 1.1 km/100 ha road network density. Functioning drainage systems allow to more completely use the potential of soil fertility. 30% of drainage ditches arranged in lands of forests possessed by LVM are clogged up and do not fulfill their functions. In order to ensure the optimal moisture conditions, the renovation/reconstruction works need to be carried out on damaged drainage systems. Yearly growth in wood on ameliorated areas is 3-4 times higher compared to undrained areas. Spring floods demonstrate the importance of maintaining the functioning drainage systems. Otherwise, losses are possible from the destroyed forest areas and infrastructure, for both LVM and other landowners. Most of forest drainage systems have already served out their time and need to be renovated. 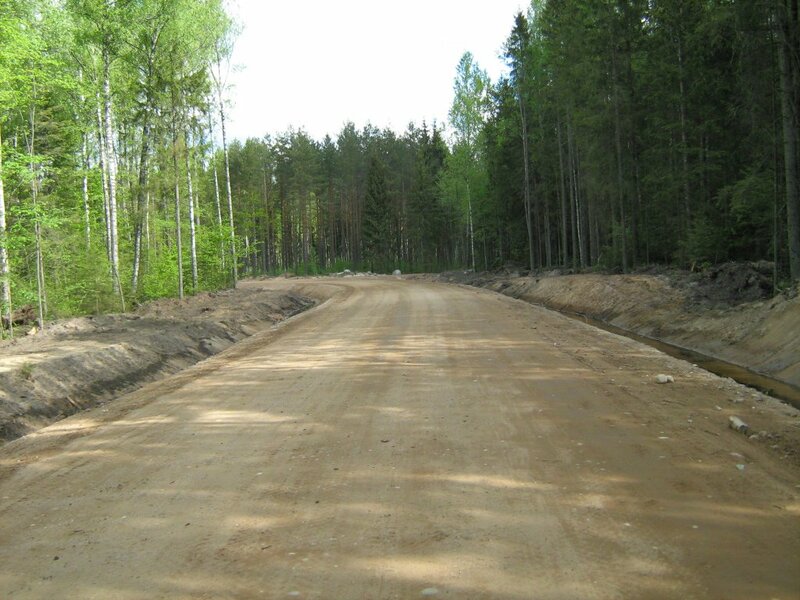 At present time, renovation works are necessary for 13,037 km of ditches (30% of total length). Maintenance and renovation of forest drainage systems is carried out by recleaning the existing ditches in order to improve the ameliorated lands and water conditions of surrounding territory, and to ensure its functioning. In state-owned forests, new drainage systems are not constructed, new ditches are only dug out within the boundaries of the existing systems in order to conserve the natural forest biotopes. Above-mentioned activities ensure the use of forest drainage systems in accordance with the provided functions and operational conditions in order to prevent an adverse impact upon water conditions in a land of other owner or legal possessor and restrictions of use of its drainage systems. At present time, 464,054 ha of ameliorated areas are in LVM possession. Total length of the drainage network is 43,680 km. Other infrastructure object such as bridge and rail crossing monitoring and maintenance. Large culvert is a structure, of which diameter or the sum of diameters is equal to or more than 2 metres and which is covered with a layer of ground. Bridge is a structure, which covers and ensures the overpass across a river, ditch or other physical barrier, and of which span or the sum of spans is equal to or more than 2 metres. 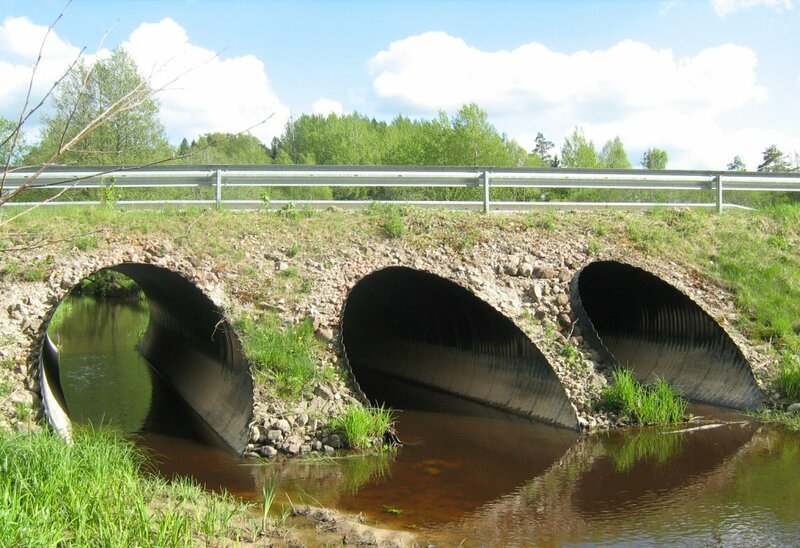 Large culverts and bridges are inspected at least twice a year. The inspection includes the assessment of their condition, operational safety and how to maintain them, i.e. whether repair works are necessary.